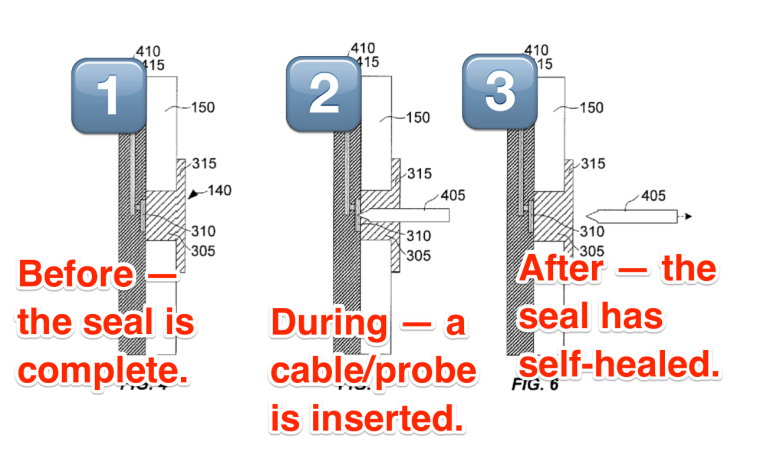 Apple today published an intriguing patent application with a unique method for waterproofing future devices — by covering ports, like those for USB or headphones, with self-healing seals. Described as an, “electronic device with hidden connector,” the invention describes how self-healing elastomeric material could seal each of the ports, which would then be opened by puncturing them with external connectors, such as power or audio feeds, in the event that they needed to be used. Once these were removed, the seals would then close again as seen in the below diagram. 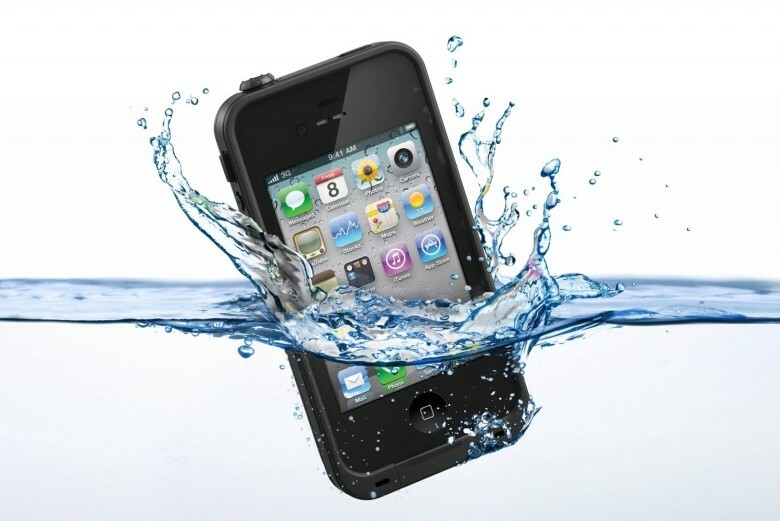 This isn’t the first time Apple has experimented with different ways to make future devices more water resistant. Earlier this year, the company filed a similar patent which also worked by sealing buttons to prevent liquids or unwanted materials like dust from entering the handset. There is some evidence that Apple has already incorporated some of these concepts in its current generation iPhone. While we expect it’ll be a long time before the iPhone is advertised as a phone you can take swimming with you (all the more so after Sony’s embarrassing recent gaffe), it’s great to see Apple is continuing to investigate this area. This entry was posted in Apple news and tagged iphone, Waterproof. Bookmark the permalink.